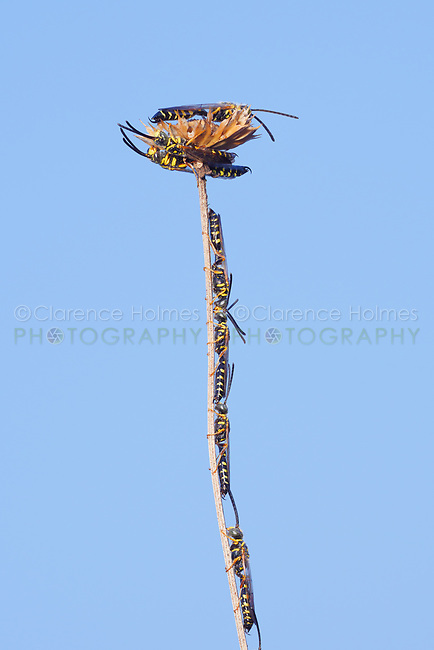 Male Thynnid Wasps (Myzinum maculatum) roost on coastal plain honeycombhead (Balduina angustifolia). Males congregate on vegetation during low temperatures of early morning, waiting for females. This image is currently not available for online sale. Please contact me regarding the legal use of this image.